Our books contain just that bit extra. 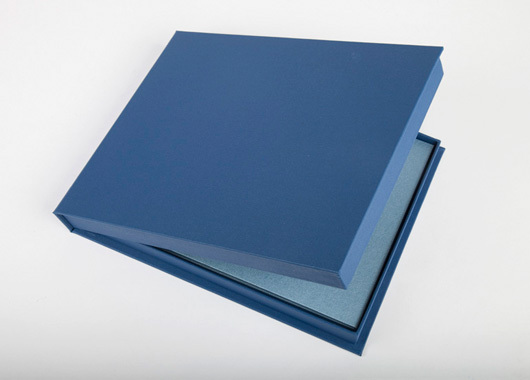 All Classic Photo Books contain 40 pages as standard (not just 20), with 150gsm quality Silk paper (some go down as low as 100gsm) and the books are bound beautifully and contain fly leaves (which many have done away with). It all adds up to more book for your dollar. Which is important, because your memories deserve it. 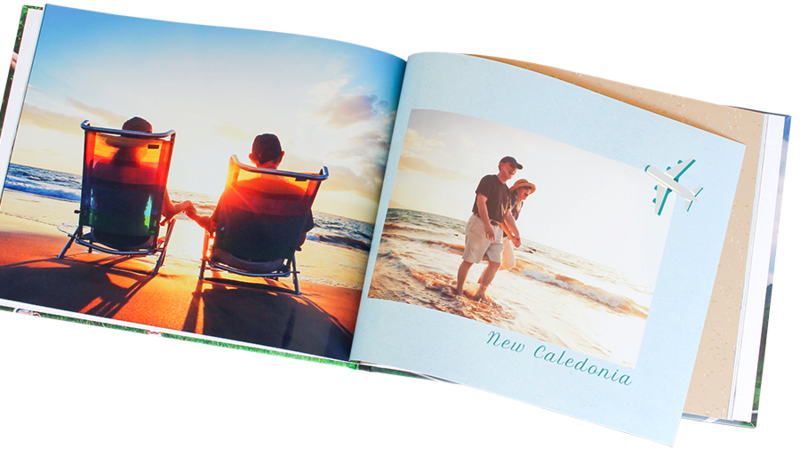 Our Editor allows you to design your Photo Book exactly how you want it. Just choose a theme, apply layouts and backgrounds, and drag and drop your photos wherever you want them. It's that easy. PS: We do recommend that you do have your photos organised first to make the drag and drop bit just a little easier! All books are beautifully case bound and are complete with end papers, something that many others cut out. We think they are important because they protect the front and last papers (and to be honest, it's how a real book has been made for centuries). It doesn't happen very often, but we can make mistakes. When it does, we stand behind everything we make for you. Every page, every cover and every delivery. If there is a reason you're not 100% happy with your product, just get in touch with our friendly customer service team - we promise do everything we can to help. Our Melbourne based support team is there to support you. So whether you want advice on choosing a font or how to better drive the Editor, just calls us on 1300 553 448 or email service@albumworks.com.au - we would love to help. 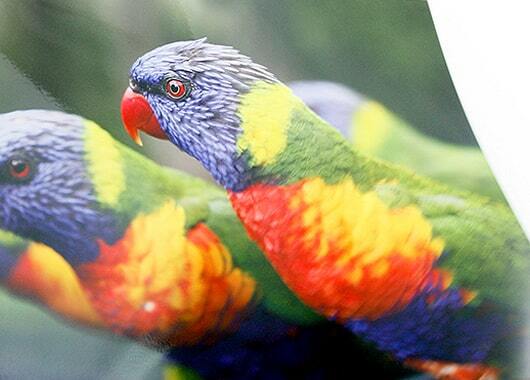 Beautiful 4 colour digital printing comes as standard. We print all our SD Photo Books on the Indigo press. This process results in your photos looking just as good as the day you took them thanks to HP's exclusive ElectroInk liquid ink. 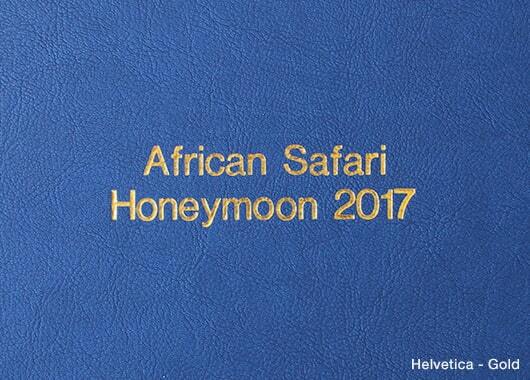 If you want to take your Photo Book to the next level, print it on the world's best photographic press in full HD. Your colours will be even more vibrant than in SD. We manage this by using 7 dye based inks instead of 4 pigmented inks (dye is better because it has a wider colour 'gamut') and the HD Press has far stronger colour control - it literally checks in real time, dot by dot that it's printing the right colour. And this beautiful colour is printed at a spectacular 2400 dpi. That means you could add text so fine that it can only be read with a magnifying glass. There's a right paper for every occasion. Sometimes it's luscious colour, others its earthy traditional raw paper that is just right. With a choice of Silk or Mohawk in SD or Photo Luster or Photo Glossy in HD, we've got the paper choices to match your choice. 150gsm in weight with a very slightly off-white colour tone and very smooth. Silk is an allrounder that produces great colour balance with good tones. If good all round colour reproduction in SD is your goal, then Silk is the right paper for you. This is the choice for those looking for a more earthy stock. Mohawk is like a high quality writing paper and has a visible grain running through the sheet. It's frequently chosen for wedding albums where people are looking for a matter, flatter look. Colours are muted, more pastel in tone when using this sheet. The sheet is 150gsm in weight, making it just as pliable as our Premium Silk paper. A simply stunning Photo Paper and our most popular sheet. 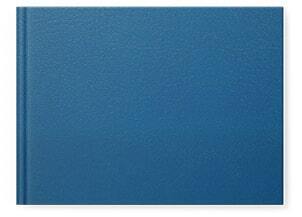 Luster has a gentle eggshell finish, has exceptional vibrancy and at 250gsm has a lot of heft in the hand. Collectively it just speaks to quality. Because the surface is textured it hides fingerprints, it's exceptionally tough (safe from wedding rings) and reflects light evenly for stunning visual clarity. The paper of choice when you want colour, colour and even more colour. It's the CEO's favourite sheet, but some may find it carries just too much vibrancy. We love it for bringing maximum punch to landscapes and vistas, or where depth of detail is everything. 250gsm, like Luster, it is 300 year archival and bulky in the hand. With so many covers to choose from, you'll be sure to find the cover that's right for your photo keepsake. Our Photocovers are vibrant and sleek and our Premium Material covers are a stylish, sophisticated touch. 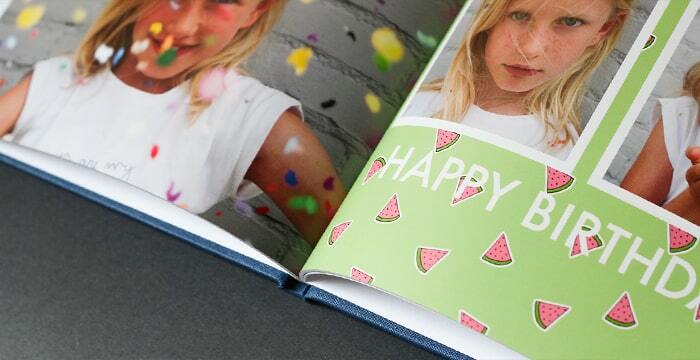 A hardcover book that allows you to design anything at all on the cover. We print the cover on a high quality printing press, laminate it, then bind your cover onto a high quality case. 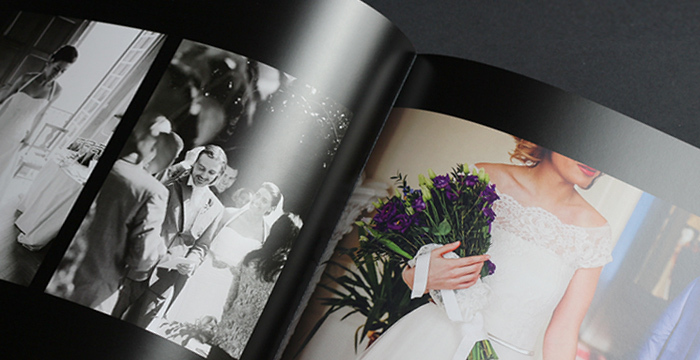 As standard, all Photocover Photo Books are made with a beautiful Matte laminate finish. Or you can choose a Glossy finish to make your Photo Book cover extra shiny - the choice is yours! Your cover choice when you are looking for a magazine like finish. The cover is quite soft (not surprising given the name) as it uses a 190gsm Photo Luster Sheet which is then laminated with a 40 micron film. This means the cover stays nice and flexible. Design whatever you like on the cover - it's your canvas to paint. Can't decide between a Photocover or Material cover? 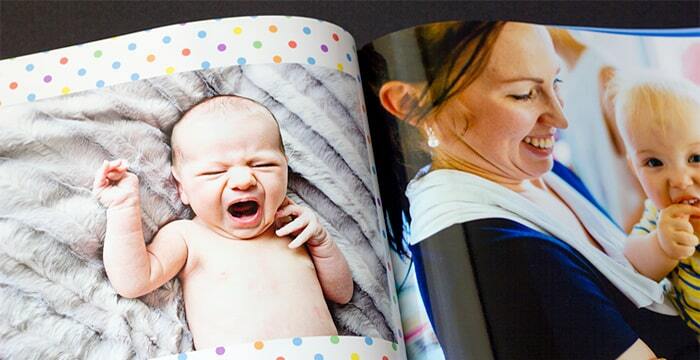 Our all NEW Debossed Photo Books allow you have an image and title on your Photo Book cover! Your image will be debossed into the front cover. Choose from our huge range of gorgeous material covers. A total of 14 different Buckram colours to choose from, you're sure to find the perfect match for your Photo Book. Choose from our huge range of gorgeous material covers. A total of 15 different Faux Leather colours to choose from, you're sure to find the perfect match for your Photo Book. 6 x 6" 8 x 6" 8 x 8"
8 x 11" 11 x 8.5"
12 x 12" 16 x 12"
We employ classic bookmaking techniques, and technicians to ensure our Photo Books are as quality as our digital printing. We use state-of-the-art PUR glue for perfect binding with no visible stitch lines and customise spine width to your Book. Our Photocovers are finished with a stylish matte and we carefully trim and tuck the corners of our covers for an elegant finish. Classic books have the valley in the middle of the book with that beautiful wave and fall in the sheet what defines a traditional book. You can have up to 200 pages, more pages than our other binding types, which means your book will be a hefty 25mm thick with maximum pages. Pages are bound into the book using a really clever, special glue called PUR. It's clever because when we apply it, it cures but stays flexible for life and it's super stong. We've tested it on books up to 5cm thick and then hung the book for hours off a single page - the result? Nothing budges (you can watch the video if you like - not exactly entertaining viewing but it proves the point). Layflat books... lay flat. It's the polar opposite of the Classic Photo Book - the book is completely flat from left page all the way to right with no join - it's one big continuous sheet. This sheet is then glued to the one following it and the result is a super thick bonded page (400gsm to be exact). 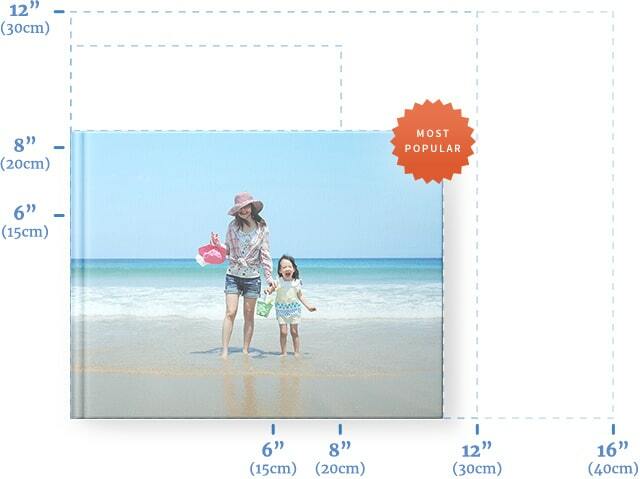 The result is an unbelievably strong, very high quality binding method. 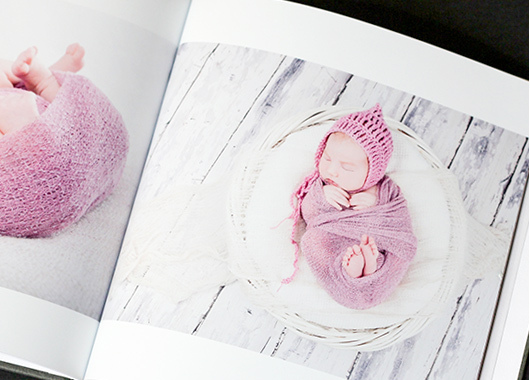 Printed on 400gsm E-Photo Lustre paper - water resistant and dirt-repellent, Layflat Photo Books can hold up to 160 pages. 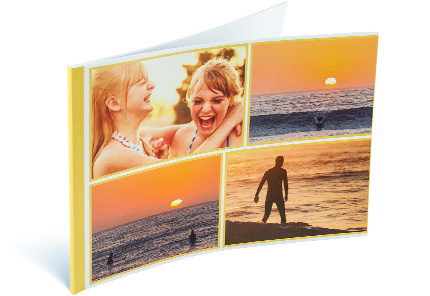 Board Mounted Layflat Photo Books are our best Photo Books yet. Superior in quality, these Photo Books are perfect for luscious wedding photos, professional portfolio photography or any of your most treasured photos. 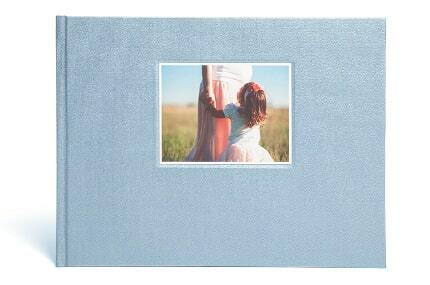 Board Mounted Photo Books may look similar in appearance to our Layflat Photo Books. However, it's the careful production of these books that makes them so special. Each individual page of our Board Mounted books are mounted specially on top of our thick core board. Creating luscious, board like pages. Thicker pages creates a thicker, more luxurious book. 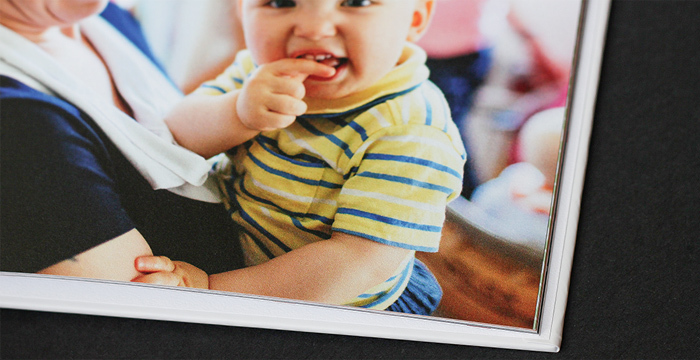 All images are printed on E-Photo Matte paper before being fused onto heavyweight board core, resulting in the recognisable thickness of our Board Mounted Layflat Photo Books. Our Silver and Blind Stamping will leave a lasting impression. 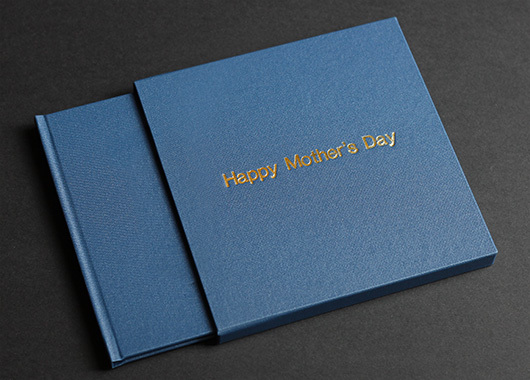 Choose the perfect message to complete your perfect Photo Book. 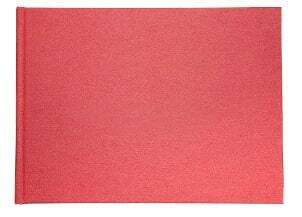 Just $14.95 for all Premium Material covers in 16"x12" and 12"x12". Also available for all Slip Cases and Presentation Boxes. 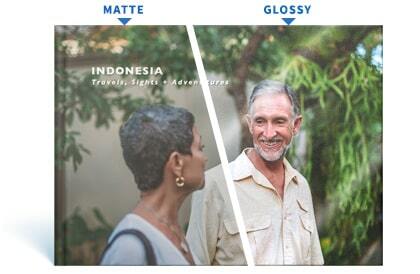 Choose from two typefaces and three stunning finishes - Gold, Silver or Blind. Slip Cases are the perfect home for your Photo Book. Every Slip Case is individually handmade and comes in our selection of 30 material options. So you can match your cover to your Slip Case or stand out by choosing a contrasting colour palette. Great for gift giving and ideal for for protecting your precious memories. Our Presentation Boxes are individually hand made and are the perfect home for your precious keepsake. Each Presentation Box is tailored to fit your Photo Book snugly while the thoughtful ribbon pull provides convenient, lift-out access to your Photo Book. Choose from over 30 different colour material options. Take out the guess work with our nifty pricing calculator. Add optional extras or change your paper type - our calculator does all the work for you!